Set of 20 duotone Lightroom presets for creating unique photos. File format: .lrtemplate for Lightroom or other software. 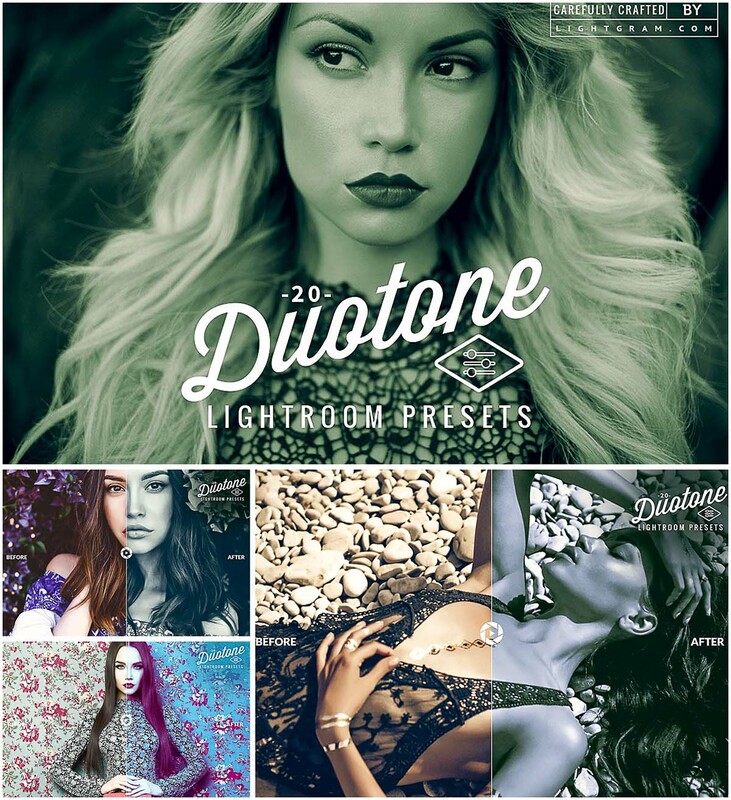 Tags: color, duotone, effect, filter, lightroom presets, retouch.